Location — Dobryanka, Perm Region. Core business — generation of electric power and heat. Permskaya TPP is a major supplier of electricity to Ural and Volga Regions of Russia and one of the largest thermal power stations in Europe. Permskaya TPP is fueled by natural gas from Urengoy and Yamburg gas fields delivered via branches connected to main pipelines. Perm TPS delivers electricity to Ural Energy System over 220 and 500 kV transmission lines. Installed power generating capacity — 2,400 MW (three 800 MW steam power plants). Council of Ministers of the Soviet Union approved the Permskaya TPP project in 1978. In 1980, Permskaya TPP was declared the Nationwide High-Intensity Construction Project. 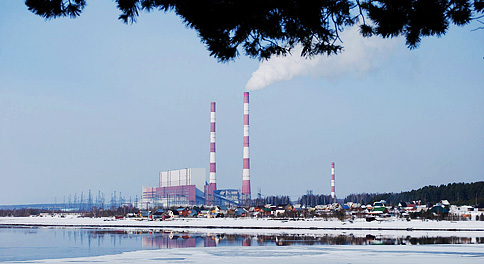 Three power generating units of Permskaya TPP were commissioned between 1986 and 1990. In 1993, Permskaya TPP was converted into a joint stock company. In 2005, Perm TPS became a part of OGK-1, and since October 1, 2006, it has been a subsidiary of OGK-1.